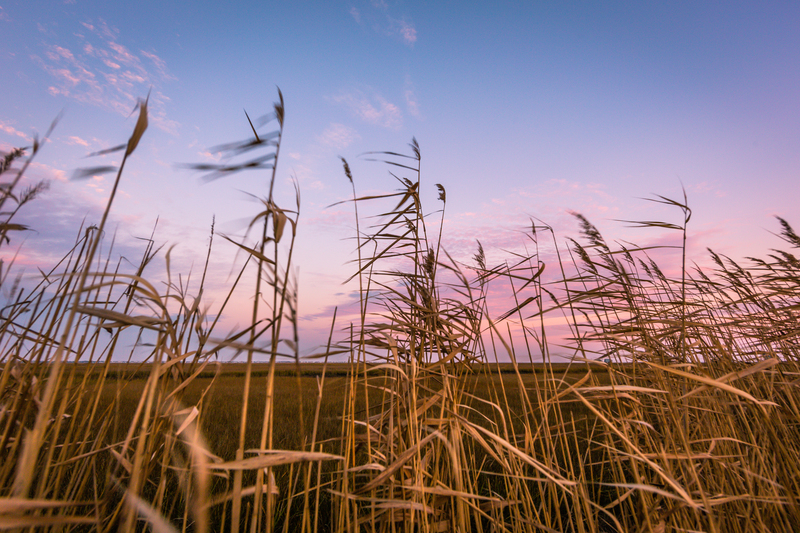 Yesterday I posted what you could call the natural partner to today’s photograph—with all the same ingredients—a handheld shot of phragmites just after sunset. While the clouds front and center in yesterday’s offering were impressive, I think I prefer today’s rendition from an overall shot of the day standpoint. In case anyone is totally confused, today is Sunday and both photographs I’ve mentioned here were made on Friday afternoon, 6 November. More often than not I like to go with one posted photograph per session, but sometimes you come away with a few keepers to share. If I had to express what it is I like most about this photograph it would tie back to color, perspective, and movement. I’d also add a elevated sense of preference creeps in because of its departure from my standard workflow, as I discussed yesterday. Here again was another handheld shot, but also from a perspective I don’t regularly utilize. I was up close and personal with the phragmites, sitting among them with my lens no more than 3 feet from the ground and no more than a foot behind the plants at an angle of roughly 15 degrees above the horizon (I’m spitballing here). This coupled with a lazy enough shutter of 1/20 of a second and just enough wind able to create the areas of motion blur you see among the stalks, adding to the sense of place. Close your eyes and you just may hear the breeze.